If you follow any of my posts, you know that I’m a big fan of Linux. Now, you’ve probably taken a look at Linux and wondered if it is something you should try. I won’t lie, there is a bit of a learning curve when using Linux, and it’s not right for everyone. Despite these facts, there are many uses for Linux that you may not have ever considered. Today, let’s examine some of the best uses for Linux that you may not have considered. By showing you many of the different ways you can use Linux, I hope that you will see the true power that lies in Linux. Once you see that, you may realize that learning this operating system is worth it. Are you ready to get started? Okay, here we go. Before I start listing out the uses for Linux, I want to talk about for a minute about the different distributions. Some distros are made specifically for some of the uses we are about to discuss, while others aren’t. That doesn’t mean you can’t make each distro work for your specific usage. Remember, this is Linux. You can customize each distribution to your specific needs. However, it may mean that you need to spend a little more time customizing your distribution to make it work for you. I won’t go into the specific configurations today. That is the subject of future posts. In fact, I may just take each one of these and create a specific post to help you create the perfect Linux setup for your laptop for each use. But trying to describe each one of these and how you do it would make this post so incredible long there is no way you would read it, and I would like to get this post up on the site today. All you need to know for now is almost any Linux distribution can be configured for each use, so choose the Linux distribution that you like the best and then go from there. If you like Ubuntu, use it. If Fedora is more your style, start with it. Once you are more comfortable, you can branch out and try others that may be more right for each use so you don’t have to spend as much time configuring your distribution of choice. Now that we got that out of the way, it’s time to take a closer look at some of the uses for Linux that you may or may not have realized. Ready, set, let’s go! Have you ever wanted to learn more about how computers work and how to control and customize a computer? Well, there is no better way than by installing Linux. Linux doesn’t hold your hand in a way that Windows or macOS does, and it gives you complete freedom to explore the system and customize it the way you want to. But, with this power, comes great responsibility. We aren’t talking Spiderman levels of responsibility, so don’t think you have to save the world. What I mean by this is that Linux gives you complete control, which means you can really screw things up if you aren’t careful. It will let you totally destroy it and it won’t warn you about what you are doing. You will have full access to everything and chances are if you are new to the Linux world, you will mess things up. Don’t worry about it. Learn from your mistakes and move on. You won’t make that same mistake twice and you will learn something while you’re at it. Remember, anything that increases our knowledge is a good thing, and Linux is no different. So increase your knowledge today by picking a distribution and using it. Once you know what you are doing, you will have a sense of satisfaction that I’m betting many of you haven’t had since you were growing up. Have you ever wanted to run your own web server or do you need a test server to test your websites? If so, you don’t have to download or pay for a test server. You can setup your own using Linux. Have you ever heard of a LAMP server? 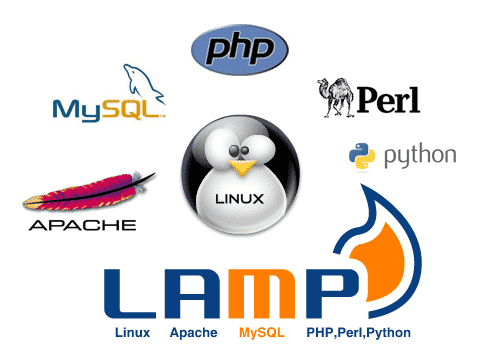 LAMP stands for Linux – Apache – MySQL – PHP. Everything you need to setup a full-fledged web server. Once you have this setup, you can run almost any web software that you can dream of, including WordPress, Joomla, Drupal, and more. You will be able to connect to your websites straight from your browser using your machine’s IP address or the IP address of your sample server if you are running it inside a virtual machine. This is a great way to test your websites before you bring them live. If you have wanted to get into web design, then this is the perfect way to do it without it costing you one cent. Once you decide it is right for you, you can then register a domain name and setup some hosting online and bring your favorite sites live. Pretty much any Linux distribution will work for this, but if you want to be the most resource efficient I recommend using Ubuntu Server or maybe CentOS as your Linux distribution of choice. Some of you out there may just want a system that they know is safe and secure. While you can go with a Mac, you will pay for it. If you want to do something a little more cost effective, then I recommend buying a cheap PC laptop and then installing Linux on it. Linux is much more secure compared to Windows and won’t run you the same cost as buying a MacBook Pro. If you are looking for a way to run a safe and secure laptop, then Linux is definitely the way to go. So which distribution should you run for this one? Well, it really depends on you. If you are new to Linux, I recommend going with Ubuntu or maybe Linux Mint, as they provide some of the easiest to use interfaces out there. 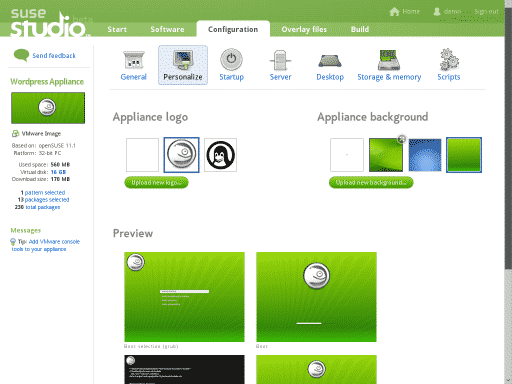 Linux Mint will even feel a little like Windows, making it the perfect Linux OS to begin with if you are new to Linux. However, if you are more experience, you could try something like Debian Linux or if you like eye candy and a Mac feel, I really like Elementary OS. Choose an interface that you enjoy using and you will be well on your way to having a machine to use that is safe and secure. Do you have a bunch of machines at your home that run on your own internal network? If so, have you ever wanted to store your files in a central location so all of your systems can access them? Running your own file server is the best way to do this. Pick up a machine and make sure it has a huge hard drive on it and then install Linux. You can then use it as your file server. You can put your Linux box on your network and even create different shares that you can map as different drives on your Windows machines. You can even mount these shares on a Mac so you can share files between all types of machines. Like a web server, you can use pretty much any type of Linux distribution to do this, but lightweight operating systems with the right server software will work great and you won’t have the overhead of the beefier distributions to worry about. You want your files to be served out as fast as possible and that’s the best way to do it. Before you know it, all your systems will be able to share files with ease and you can even set up your own backup system to make sure your files are safe and protected without having to use cloud storage options like Dropbox that require a monthly fee for any real storage. Have you wanted to create a machine you can connect to your television to serve out your saved movies or even stream Netflix or other digital content? Kodi is one of the best options out there for this, and since you really aren’t concerned with what operating system powers it, why not go with a version of Linux that is efficient and lightweight so you can devote a majority of your machine’s processing power to your media files? Linux is one of the best options out there for this as it is much more efficient than Windows or macOS. On top of that, Kodi and all of its addons are Linux compatible and you can install all of these right inside the Kodi interface. 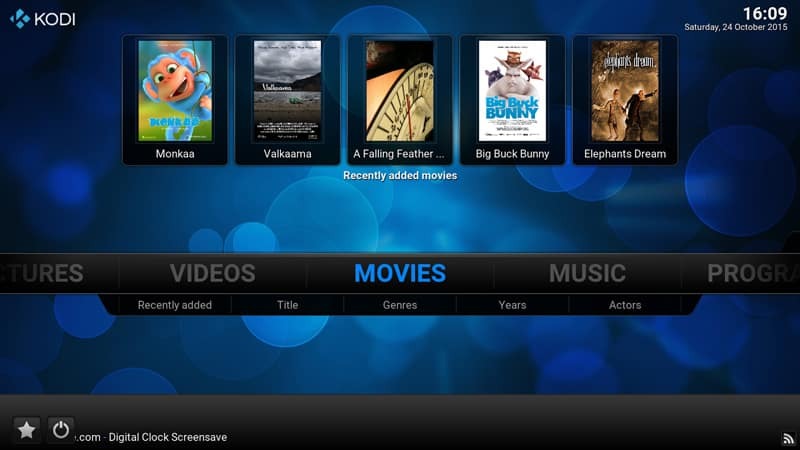 Once you have Kodi installed, it will run automatically each time you turn on or reboot your machine, so you won’t be worried about the interface. This makes Linux the perfect OS for running your own media server. I recommend using a lightweight version of Linux for this, such as Lubuntu or Bunsenlabs Linux, as these are stripped of much of the GUI bloat that causes operating systems to eat your resources. Just make sure you have all the drivers and codecs you will need to run the server properly. Computers have been around for years, and chances are you have an old laptop sitting around collecting dust or holding a door open. Have you wanted to revive one of your old machines but when you try Windows just bogs it down too much? Maybe you have an old Mac sitting around that can’t be upgraded because Apple decided not to support it anymore. We’ve all been there. Linux can be used to revive these aging machines and make them useful once again. Linux is much more resource efficient compared to macOS and Windows, making it a great option for an older machine you have just sitting around the house. Heck, I have even seen old PowerPC macs that are ten years old or more revived by a good, efficient, PowerPC version of Linux. Add onto that a really efficient distribution, and you can breathe new life into your aging laptop or desktop. Which distribution you choose to use really depends on the type of old machine you are trying to revive. Something like Arch Linux or Lubuntu would work really well. I would avoid using the full versions of Ubuntu or Linux Mint, as their graphical interfaces can use a bit of power that your old machine may not have. Did you know you can create your own custom distribution of Linux? Admittedly, this will take a little knowledge on your part, so I don’t recommend this for beginners. 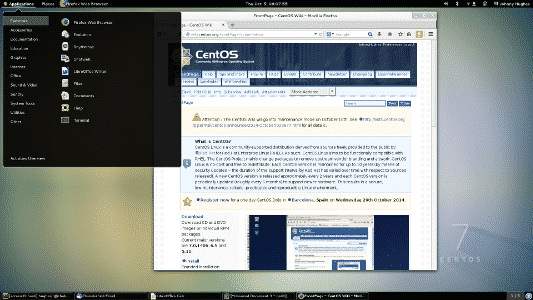 But for you more seasoned Linux fans, instead of sticking with a distro, why not make your own? There are many tools out there to help you with the process, and in a few steps you can make your very own version of Linux that you can distribute or just use in your own home. A distribution is just the Linux kernel along with a set of software tools, so with a little help you can easily create your own customized distro that you can use to setup all the systems in your home. It can have all the drivers you need so everything works right out of the box along with the exact software packages you need in order to use your computer the way you want to. Heck you can even give it your own custom name and skin, if that sounds like fun. Remember, with Linux you have full control over everything, and that includes your own distros. You can create your own custom distribution and even put it up for others to enjoy as well. Then you can enlist the help of the Linux community to improve your distribution. Who knows, the distro you make could be the next Linux Mint or Ubuntu! Whether you use Linux, Windows or macOS, did you know you can use a Linux LiveCD to rescue your system if something bad happens. Linux can access your hard drive with ease, meaning if you have a problem with your system and it won’t boot correctly, you can stick your Linux LiveCD in and gain access to your system. You can use this feature to repair your system or, at the very least, gain access to all of your files so you don’t lose anything if you do need to reformat the drive and start again. Most Linux distributions come as a LiveCD, while you can use other distributions to make LiveCDs so you can access almost any system. Remember, depending on your machine, your connection options and other drivers may or may not work, but at the very least you will be able to use the LiveCD to connect a hard drive to your machine and backup your system before you wipe it clean and start over. Of course, everything may just work, and then you will have access to the Internet to backup to cloud storage or even research your problem. Your mileage will vary based on the machine you have and which LiveCD you choose to use. Some of you out there may just be tired of using and paying for operating systems that are feeding the bottom line of mega corporations. Do you really want to give Microsoft or Apple more of your hard earned money? For those of you that prefer the world of free and open source software, there is nothing better than Linux. Linux is free and open source, meaning you don’t have to pay a dime for it and even if you do donate to the projects, it’s not required but it supports the projects and keeps them free to use for everyone. You won’t be handing your money over to a huge, billion dollar corporation. This will give you more of a voice in the development while also keeping you free from these companies. If you are tired of using a computer the way some company says you should, then Linux is your best answer to get the software you need to work while keeping you free from these companies. When you combine the software that will run on the platform with this fact, you will be able to use your machine without ever having to pay for software again. That doesn’t sound too bad to me, even if I have a laptop running all the different operating systems. Maybe I should completely switch to Linux, too. Do you ever get tired of using the same old graphical interface day in and day out? 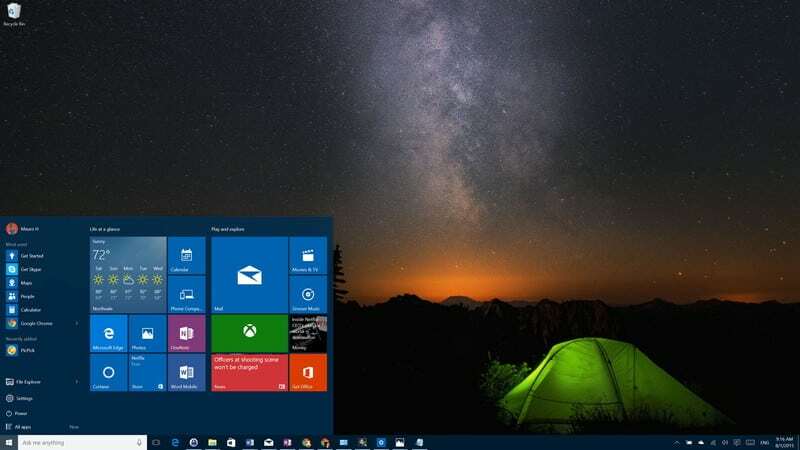 If you have Windows or macOS, you are stuck with the graphical interface that they give you, and you can’t do too much to customize or change it. On Linux, things are different. On Linux, the interface is just another program running on your machine. Because of this, you can easily switch to a different graphical user interface whenever you want. Virtually all of the various Linux distributions support this feature, so no matter which one you choose, you will be able to change things up if you decide you don’t like the interface you are using or if you just want to play around with something new. There are many different interfaces out there, such as Gnome and Cinnamon, and I encourage you to give them all a try to see which one you like the best. Remember, if you don’t like one of the interfaces you install and try, you can always switch back to the one you were using. Linux is all about choice, and you even have a choice when you use a graphical interface to use your machine. Do you have any ideas on what you can do with Linux? If you have other uses for Linux in mind, feel free to drop me a line or comment below and tell me about what you have come up with. I welcome new ideas, especially in the world of Linux, and I want to make sure all users truly know and understand the power of Linux. While I have tried to come up with the best on this list, I’m sure I have forgotten something. So let me know in the comments below and I will get it added to the list as soon as possible. I bet you didn’t realize how powerful Linux really was. But now you know better. There are literally hundreds of uses for Linux. Today, Linux powers everything from routers to televisions to our favorite smartphones. On top of that, with a little work, you can use Linux for many uses in your home or on your computer. At the end of the day, by trying some of these, you will not only make your life simpler, but you will have fun and you will learn something along the way. That’s what it’s all about, wouldn’t you say? Give it a try, and comment below on how it goes. I would love to hear what your experience is like. Have any of you out there tried to use Linux for one of these uses? If so, comment below and let everyone know how it went and how well it works for you.